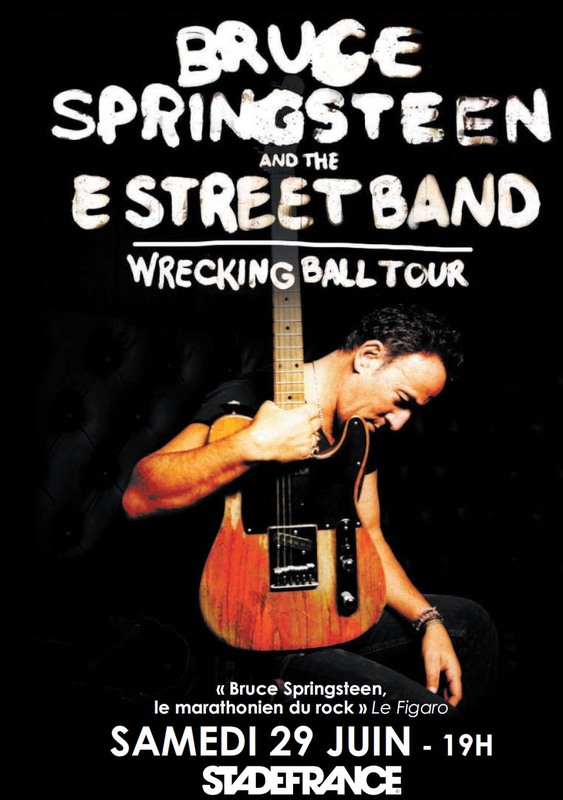 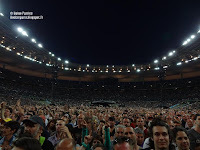 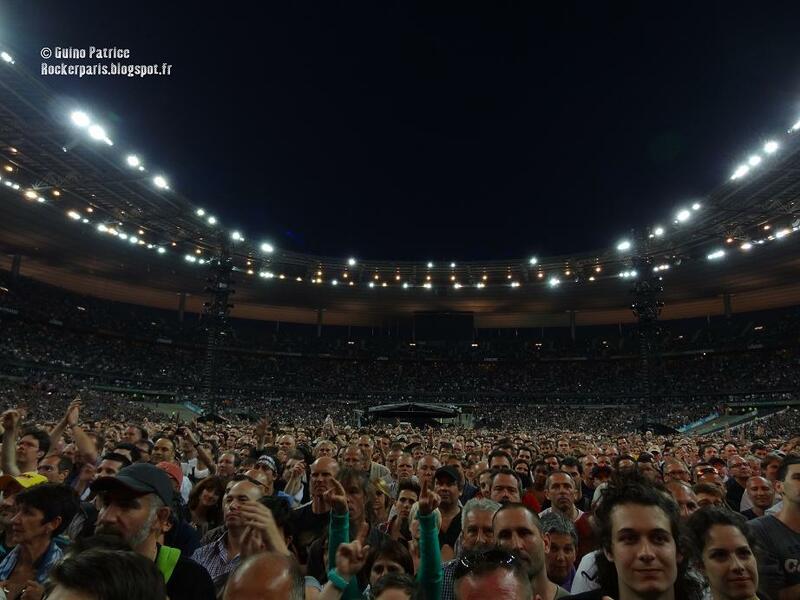 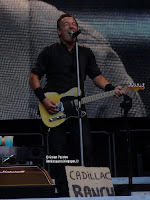 Once again Bruce Springsteen proved that he's The Boss: it started very early, as the Stade de France is half empty, with a 3 song solo acoustic set around 6:00pm. 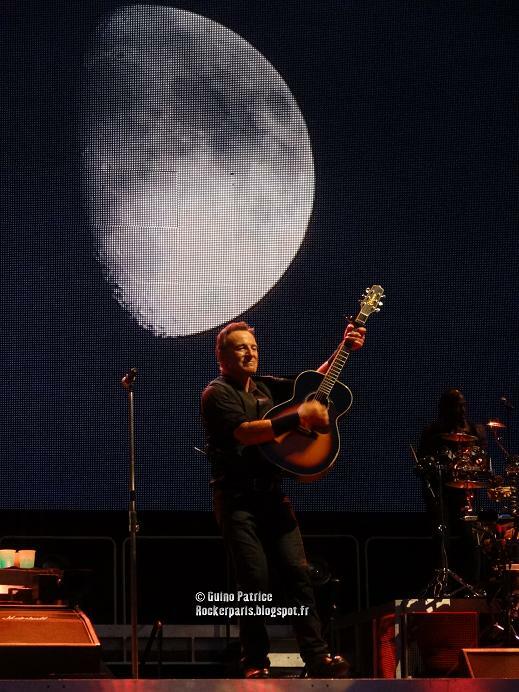 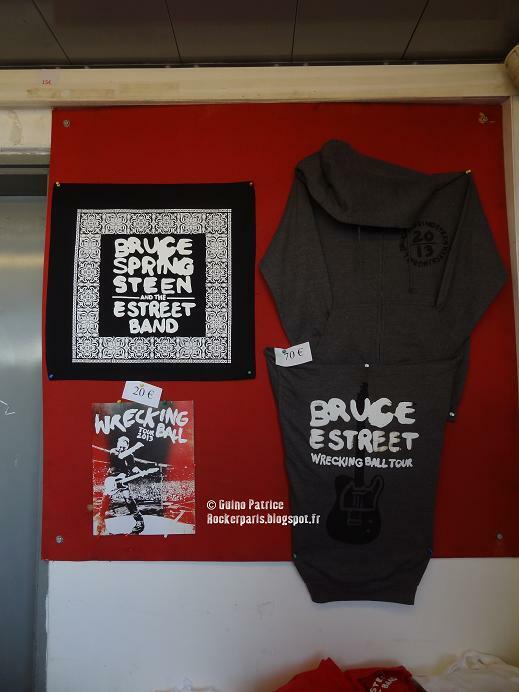 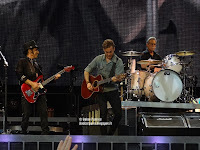 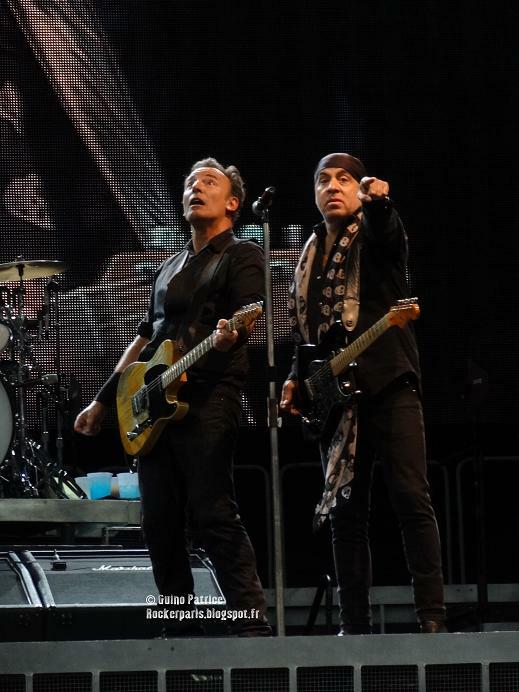 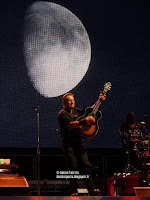 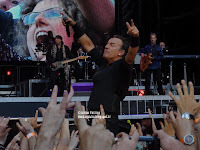 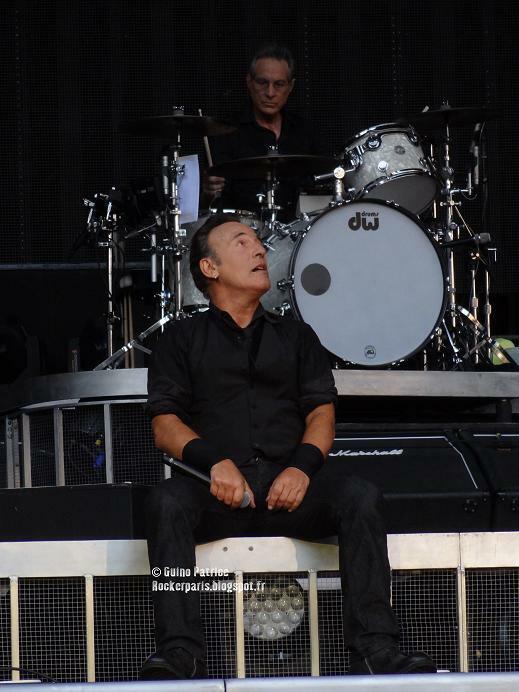 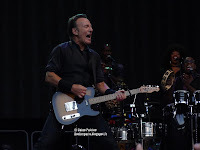 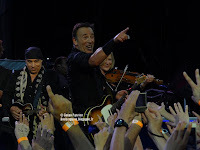 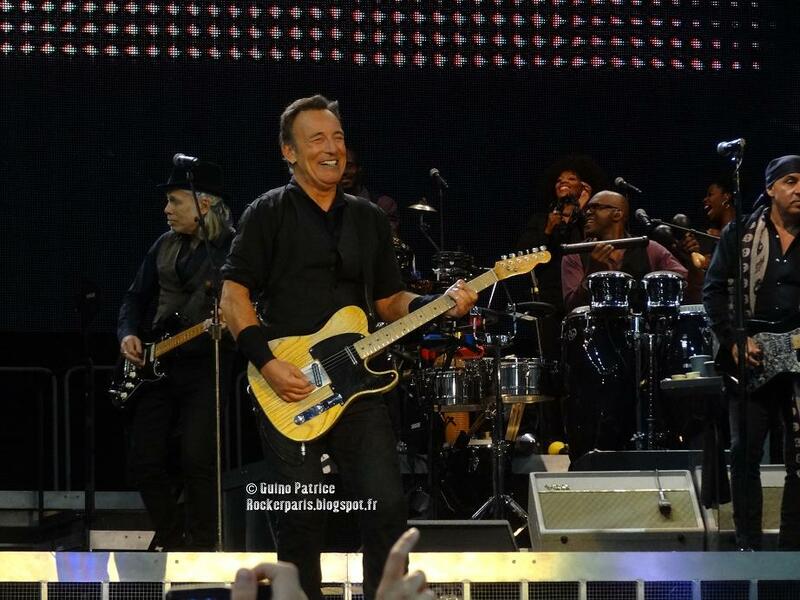 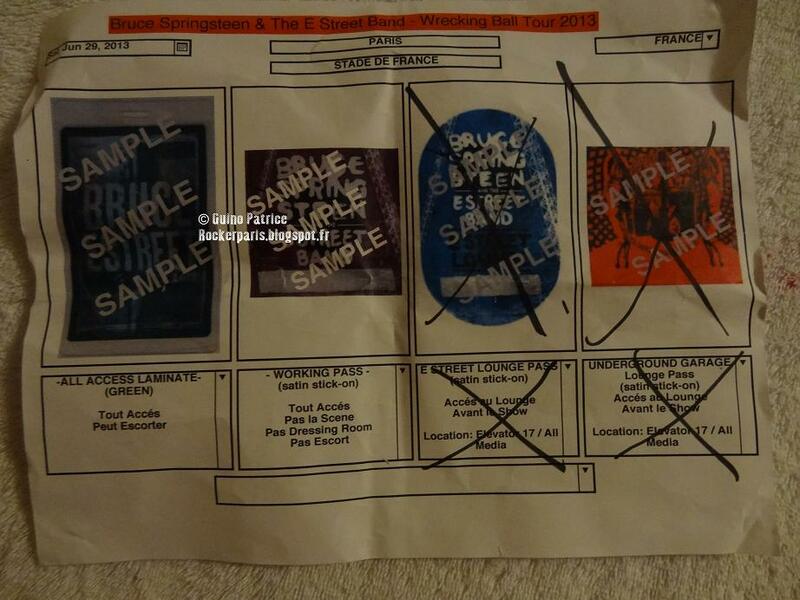 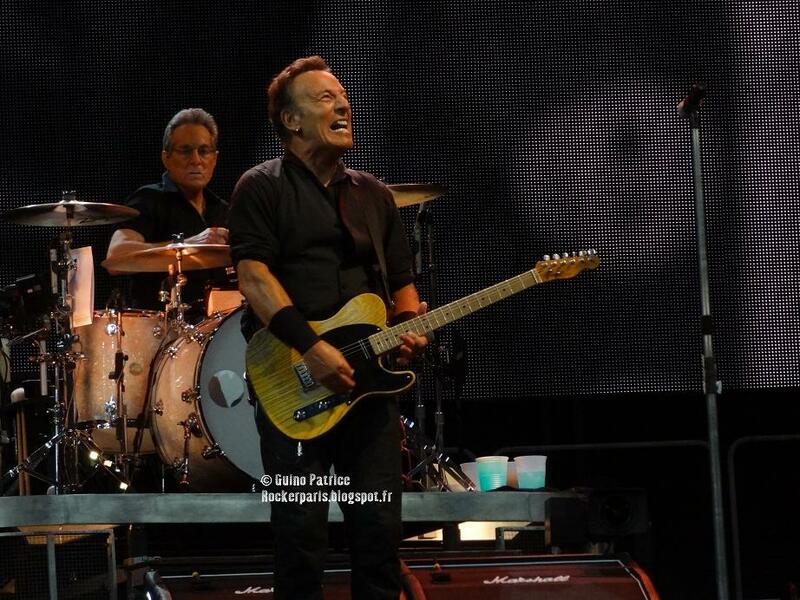 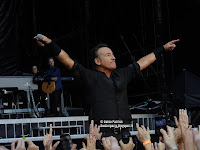 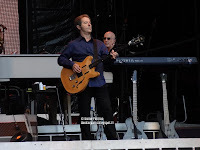 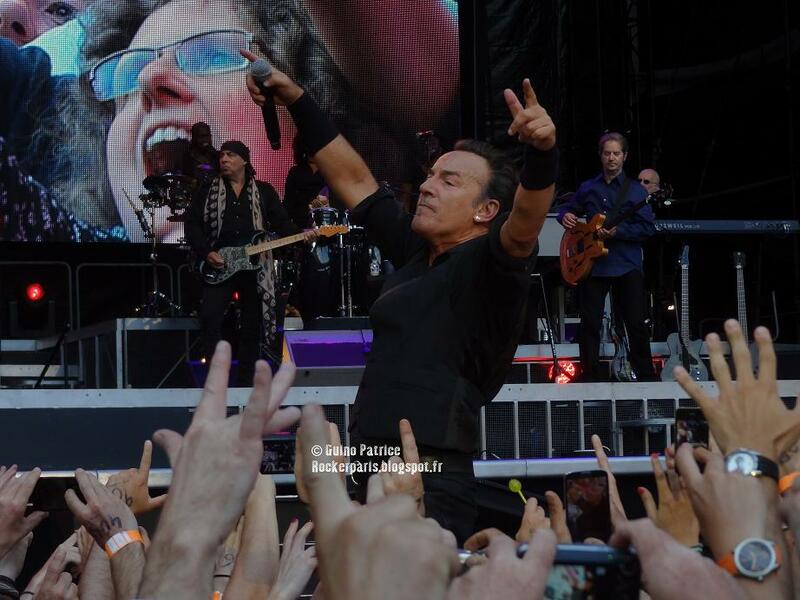 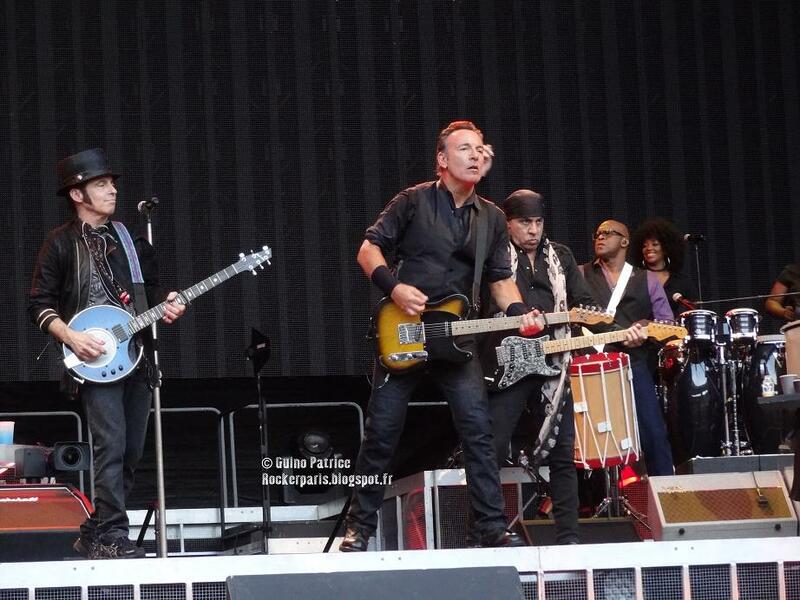 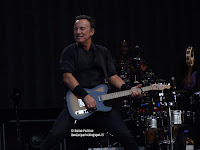 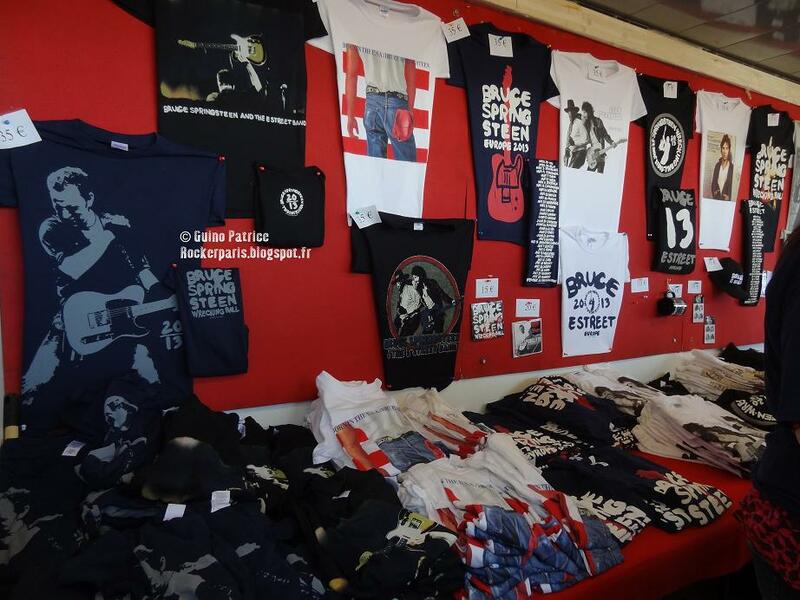 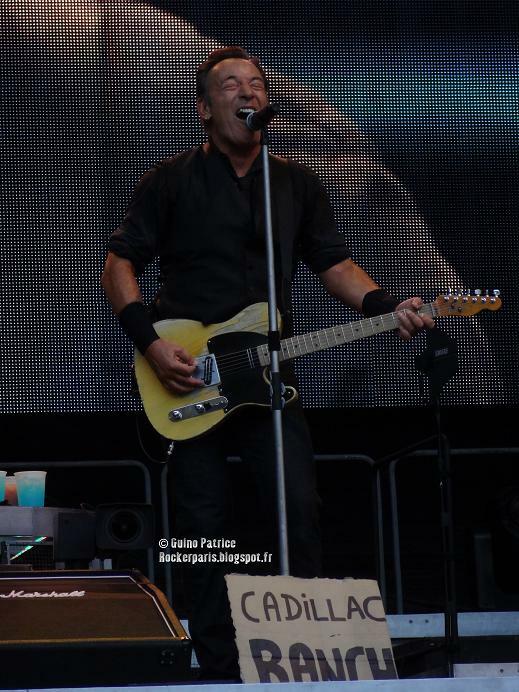 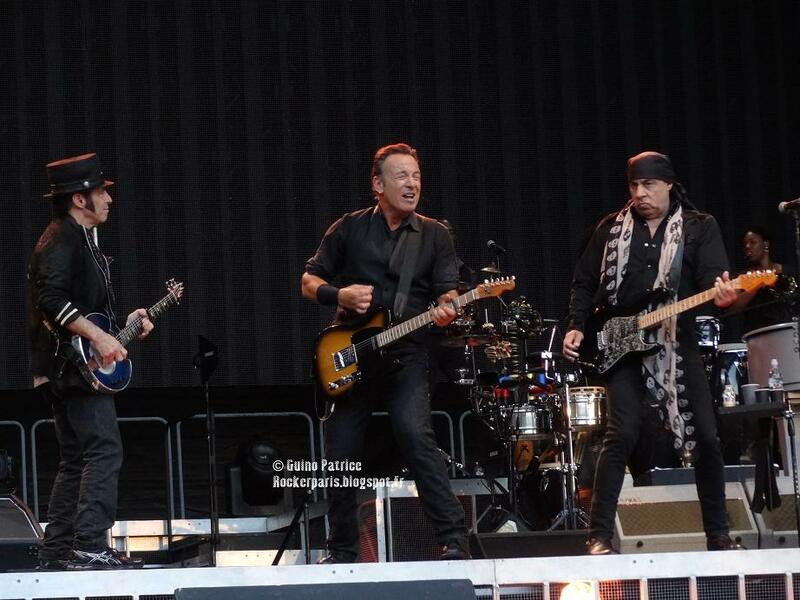 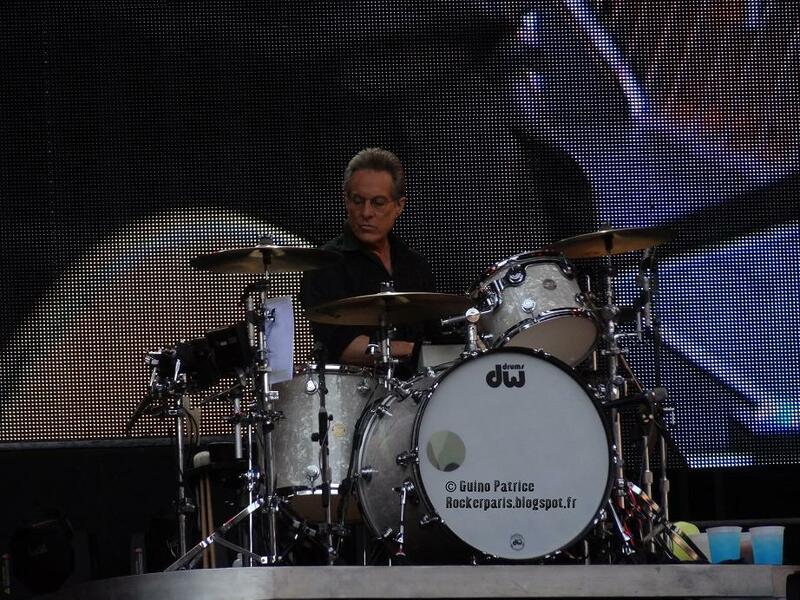 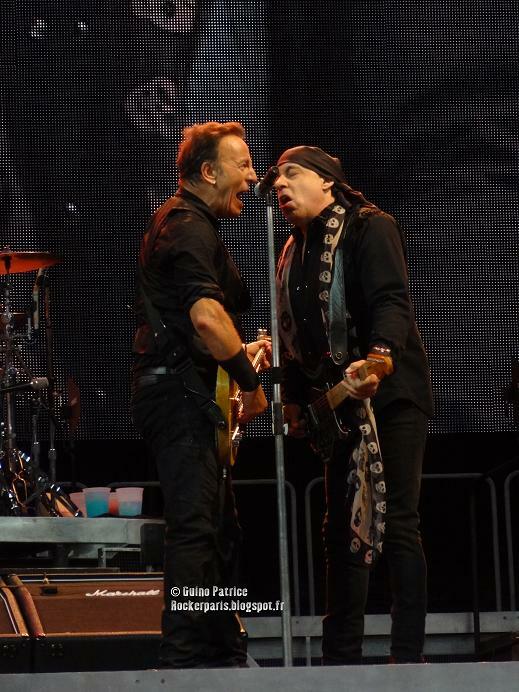 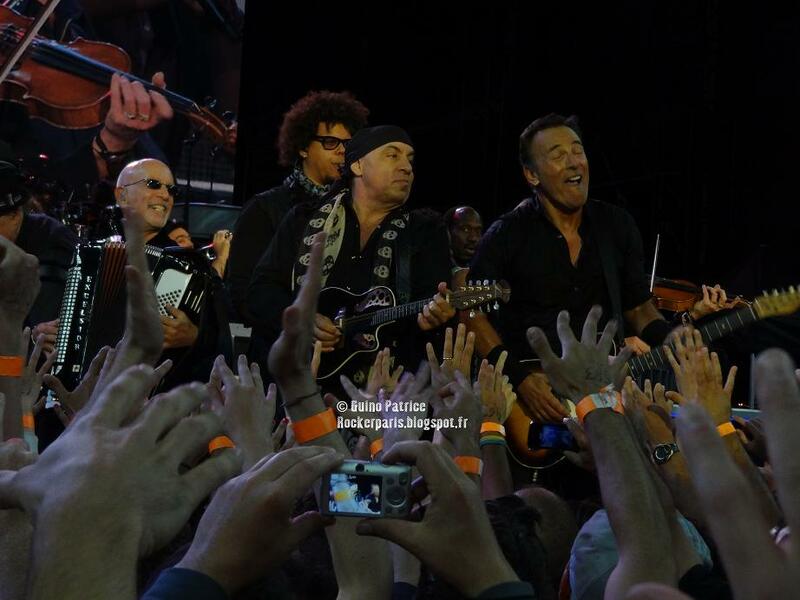 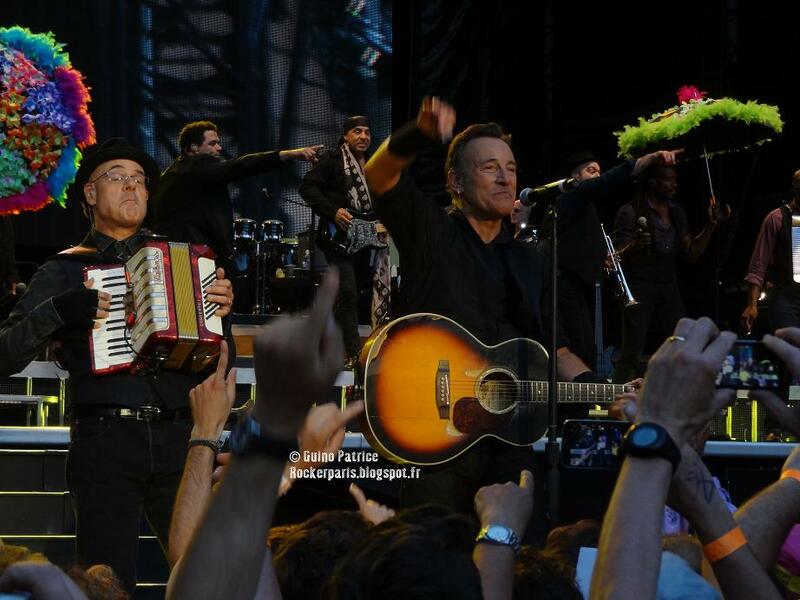 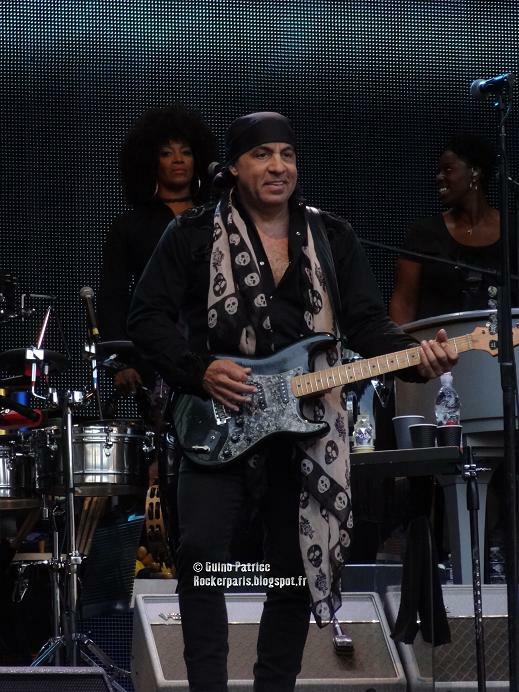 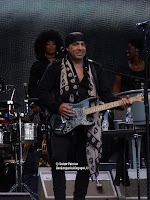 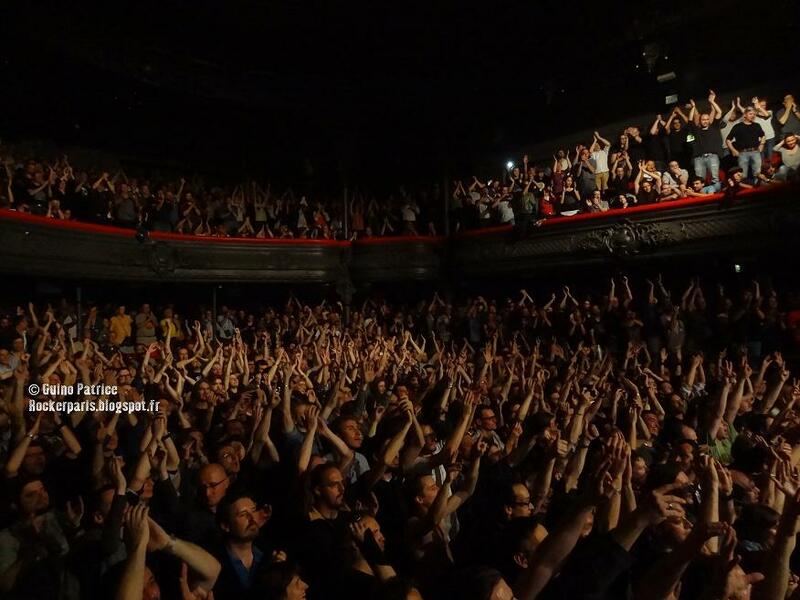 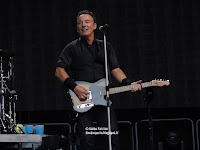 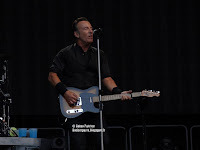 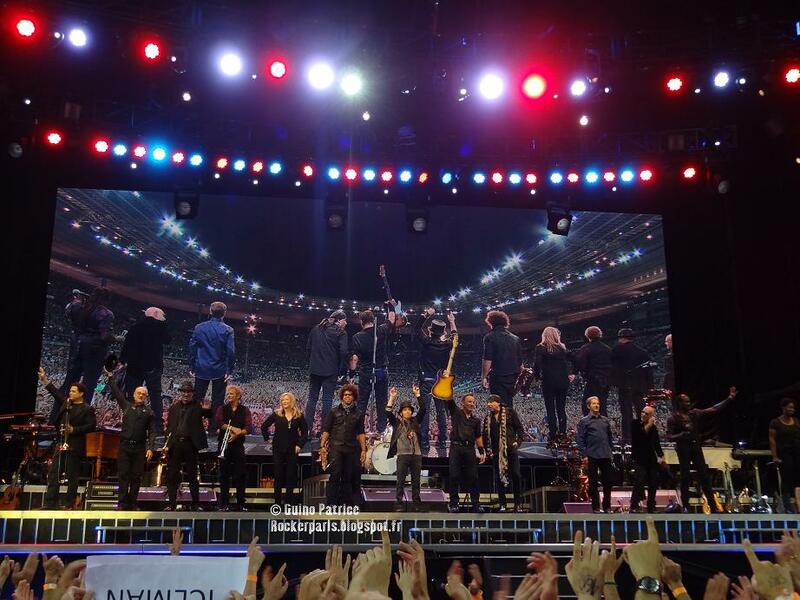 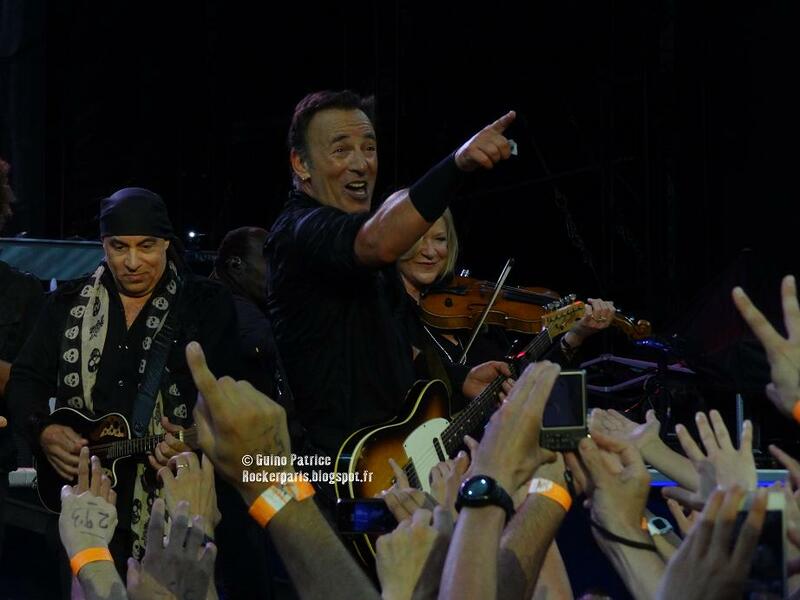 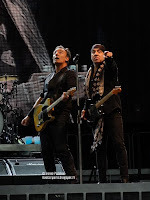 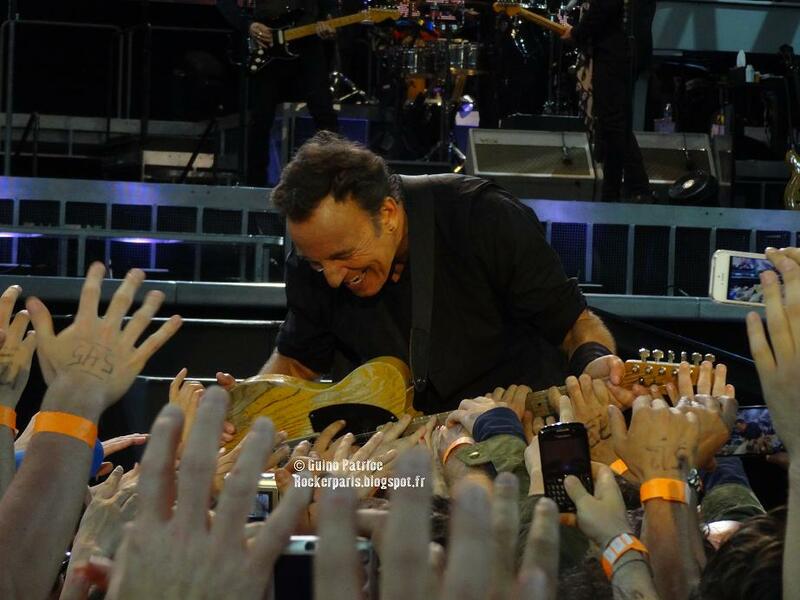 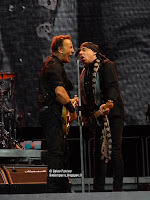 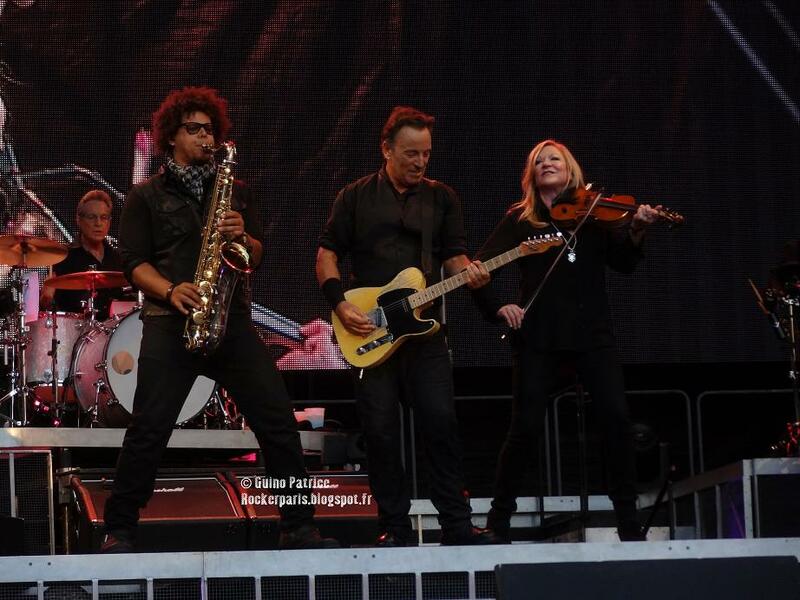 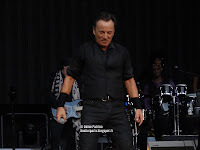 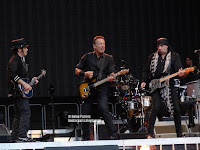 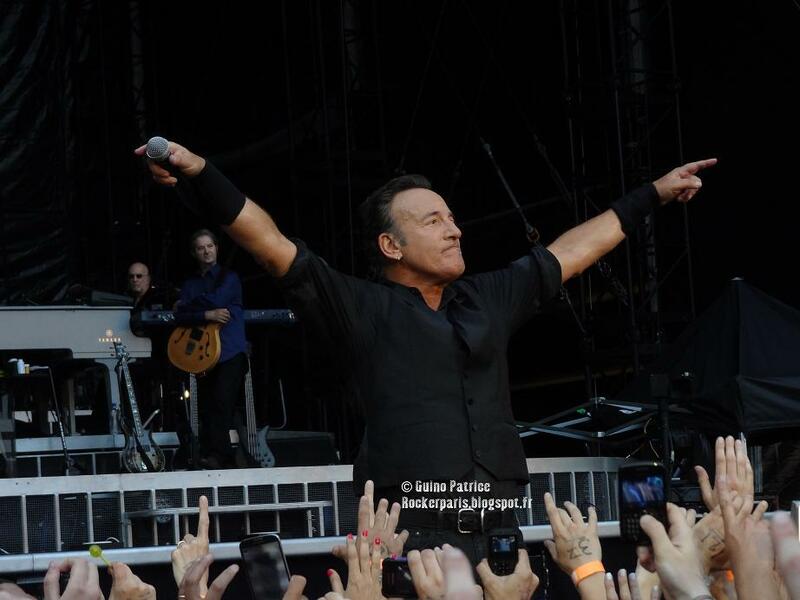 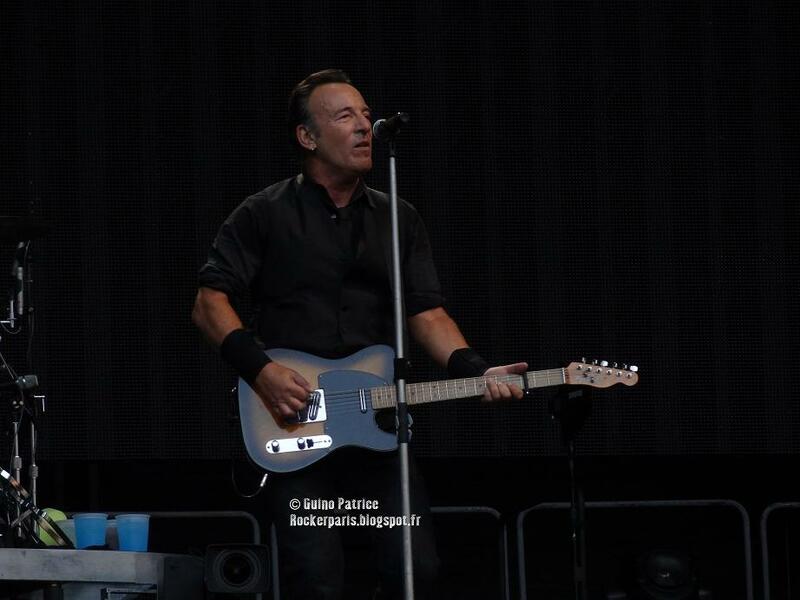 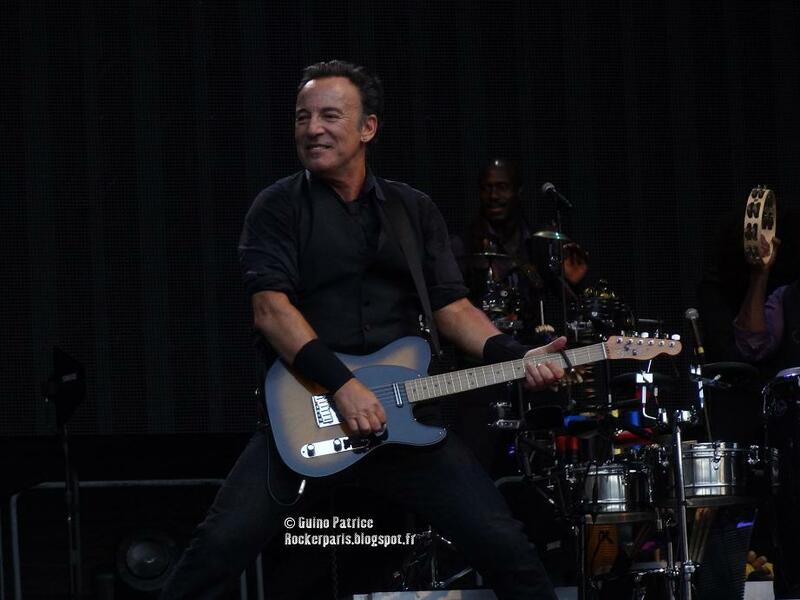 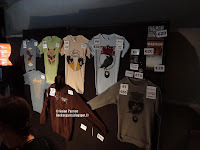 Last year BRUCE played two shows @ Paris Bercy on July 04th (Part 2) and July 5th (Part 2) [click for review with lots of Pics & videos] that were the highlights of the year. 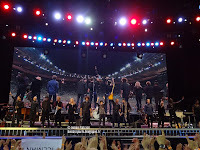 Very long intermission with nothing to do, we're in the golden pit, until 7:45 when Bruce Springsteen & The E Street Band are getting on the stage to play the first song "Badlands" of this 3hour+ show. What to say ? 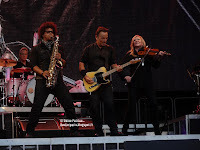 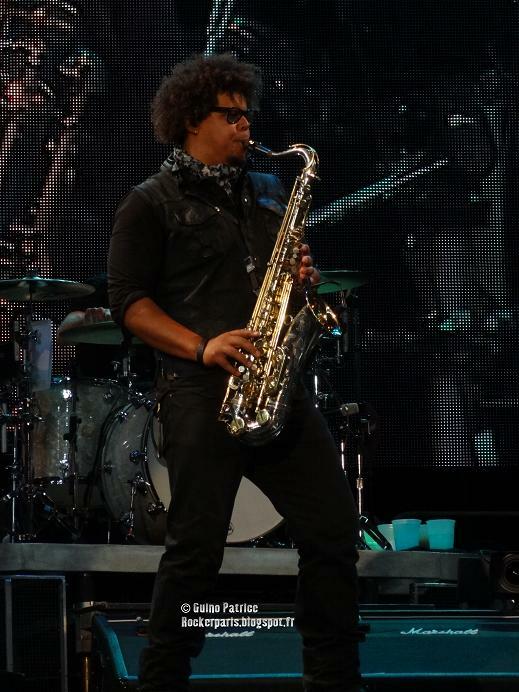 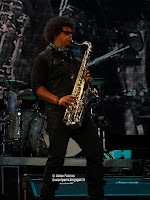 Tight band, whatever the song played, we had a request " Lucille" first played on this Tour. 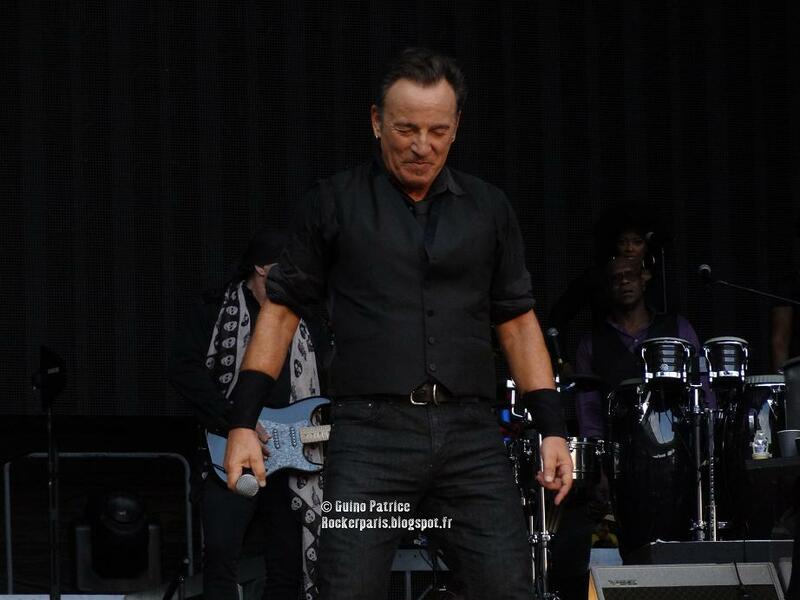 Great showmanship by Bruce. 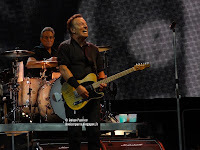 Fantastic songs...all is said. 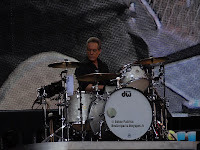 He might be playing a stadium it feels as if we were attending a show in a club thanks to great communication not only with the band but also with the audience. 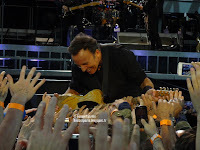 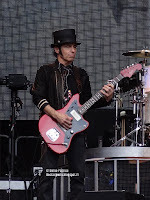 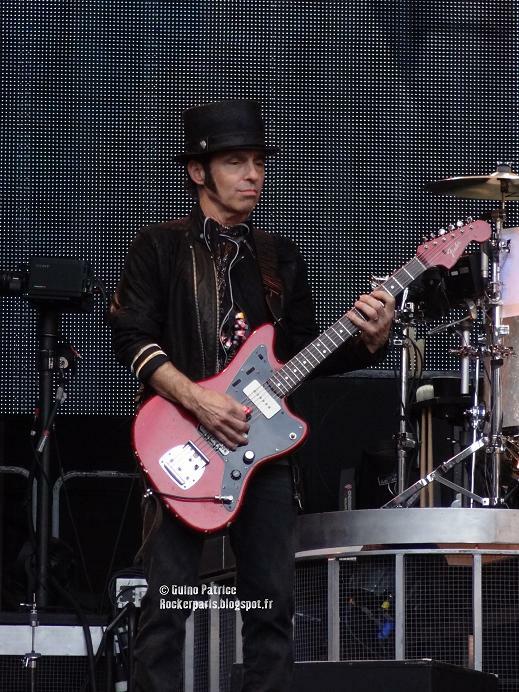 Lots of interaction, he's coming down the front very often, shaking hands, even signing a kid's arm and as always at his shows getting several people on stage to dance , sing or play the guitar. 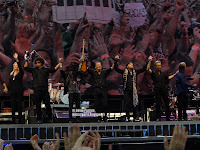 (see video below). At everyshow on this tour he's playing an album in its entirety: tonight we have "Born in The Usa", great choice. 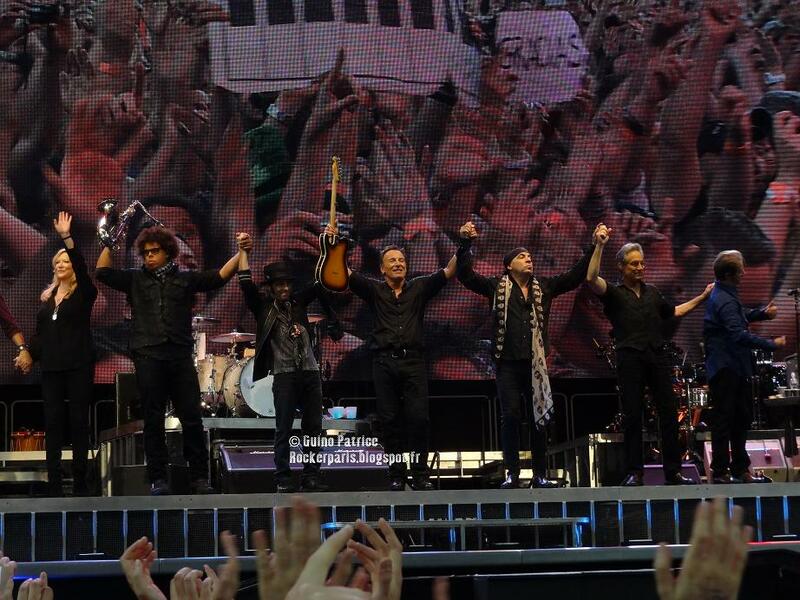 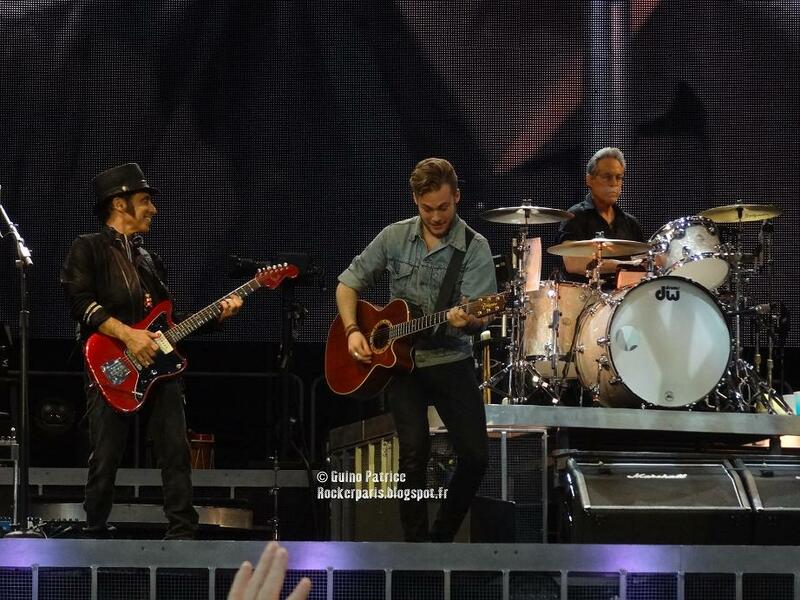 For "Born to Run" Elliott Murphy (and son) are joining in. Show ended with "American Land" before Bruce came back on his own on acoustic guitar for "Thunder Road". 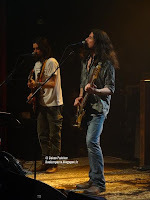 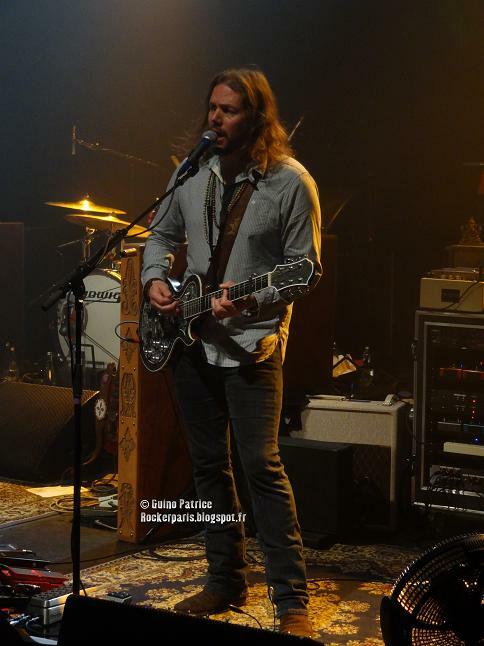 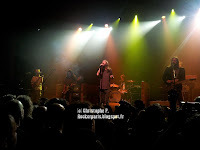 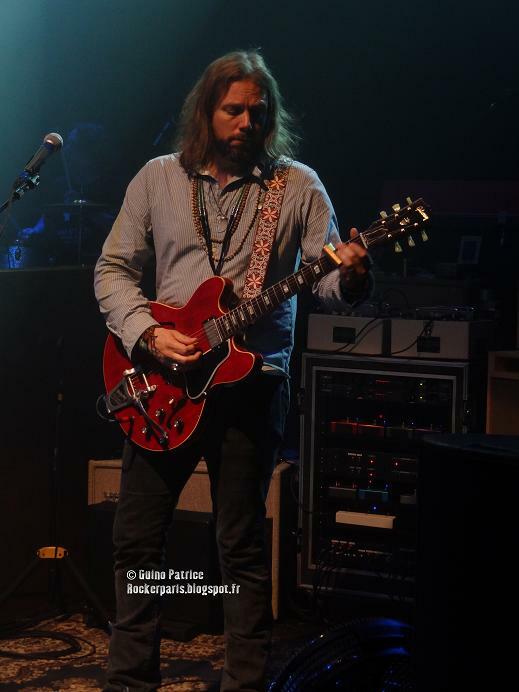 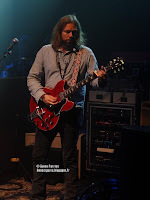 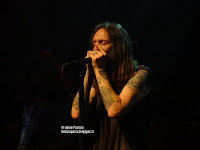 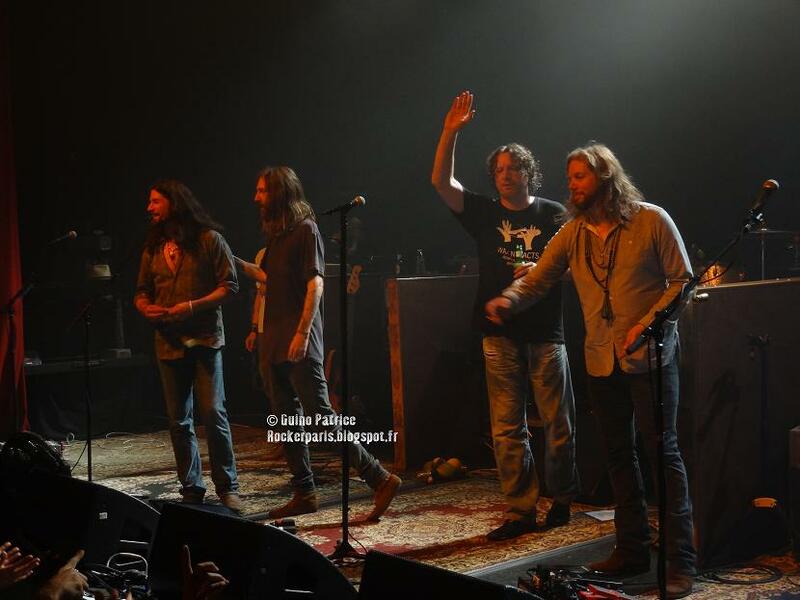 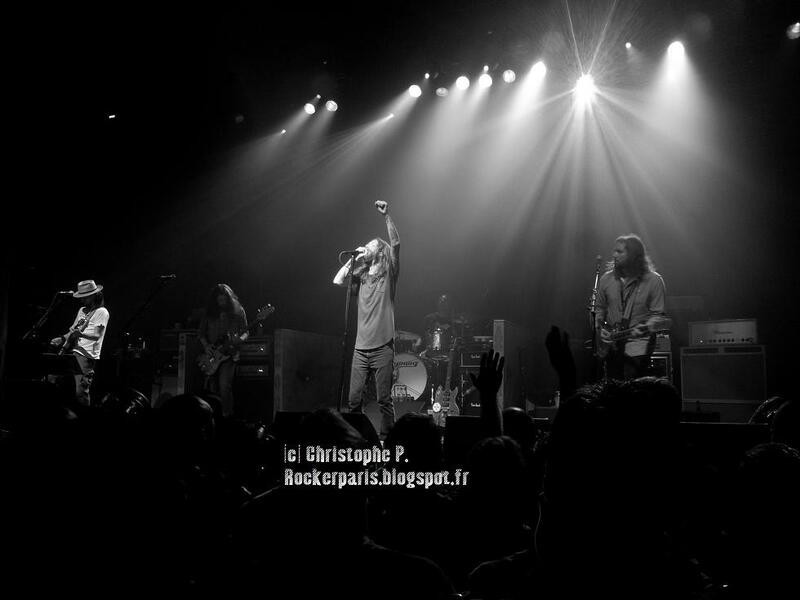 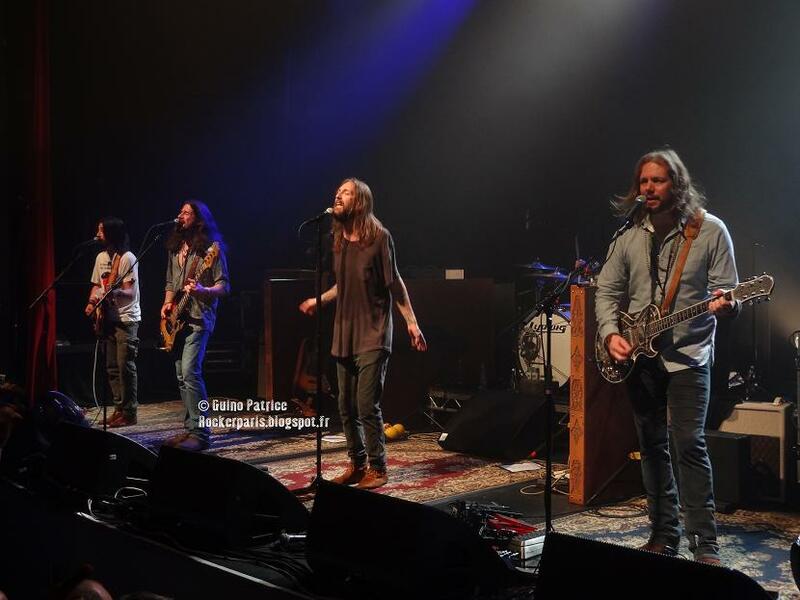 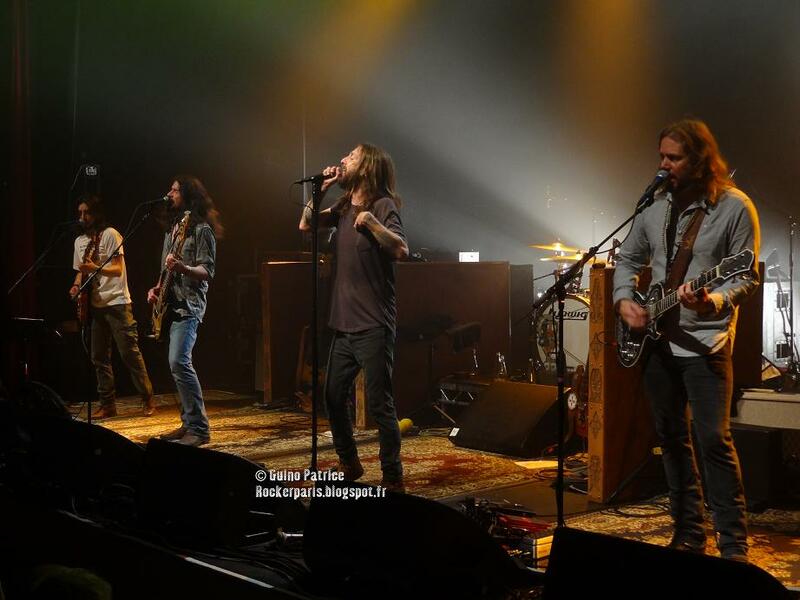 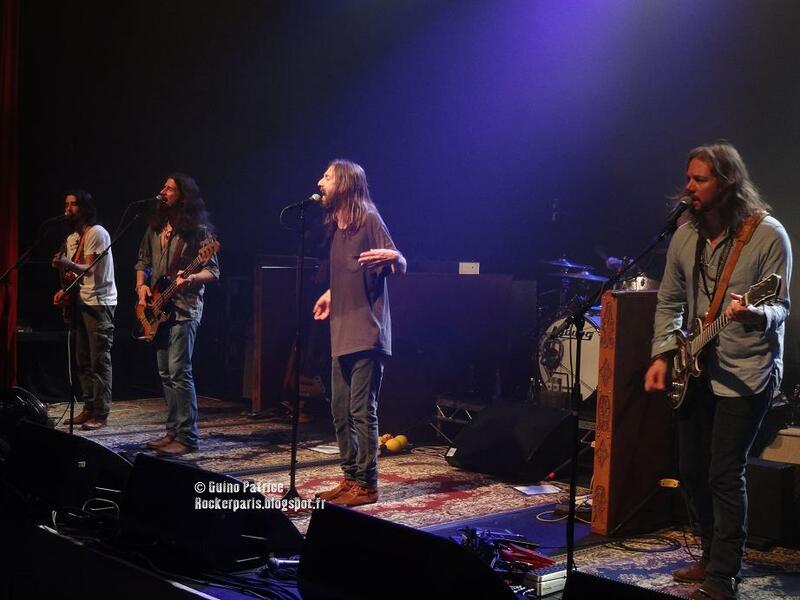 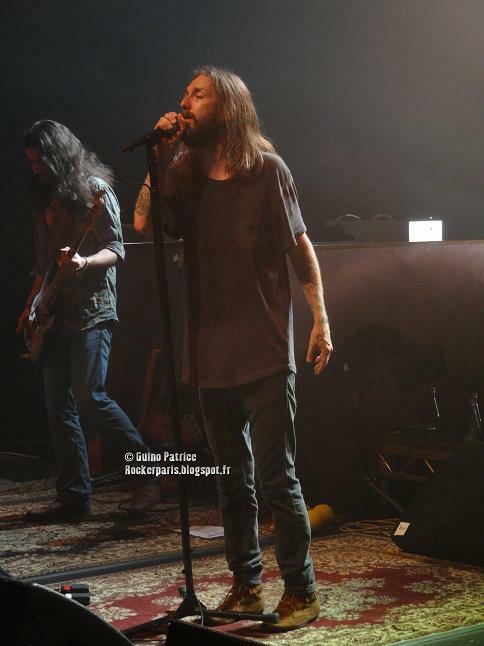 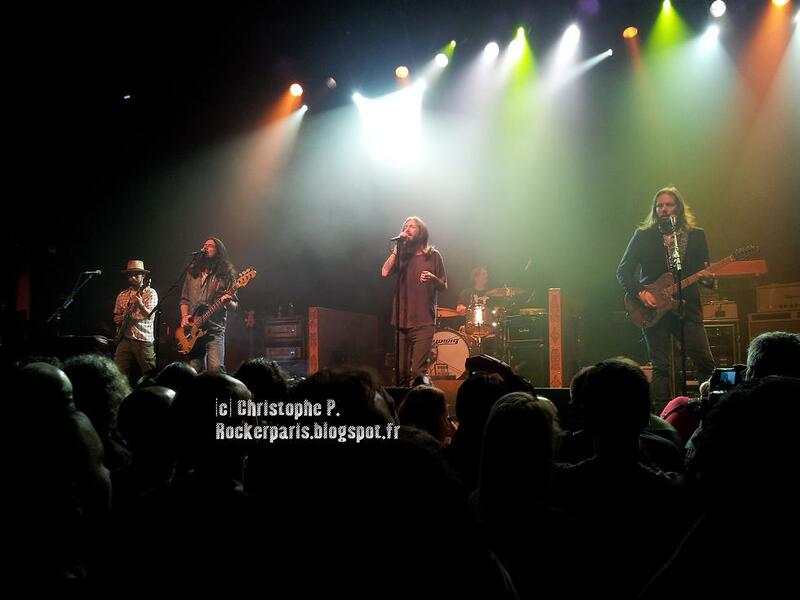 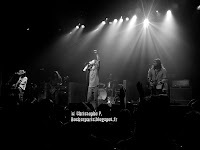 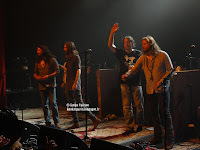 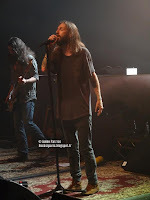 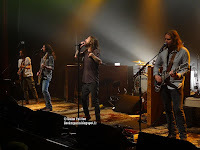 Finally The Black Crowes are playing a proper concert in Paris, The first since their show @ Olympia in 2001, not counting the private gig they did for The "Album de la Semaine" -Canal+- tv show in April 2008. 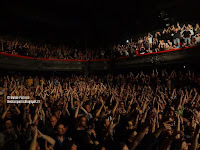 Of course it was sold-out almost instantly, funnily enough people are getting to the venue very late, there's no support band and when the band is getting on stage at 8:15 there are still many seats left at the balcony. 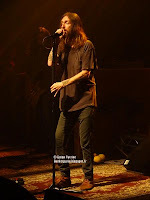 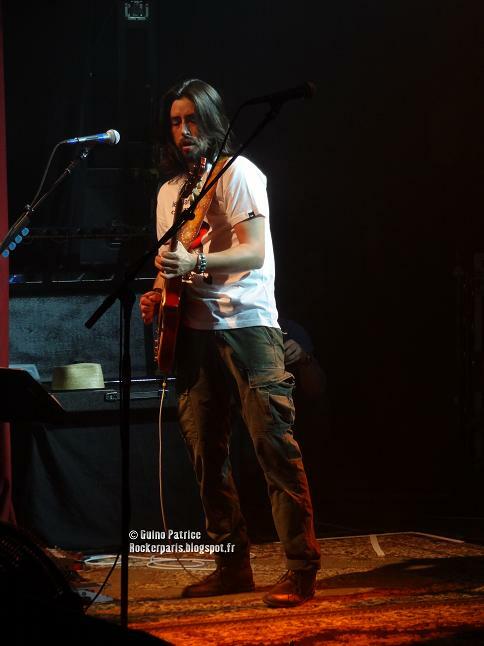 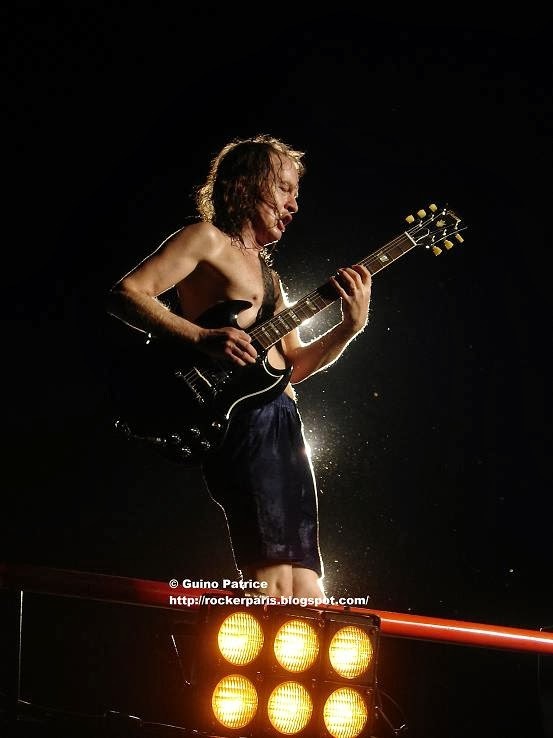 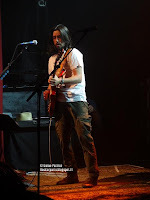 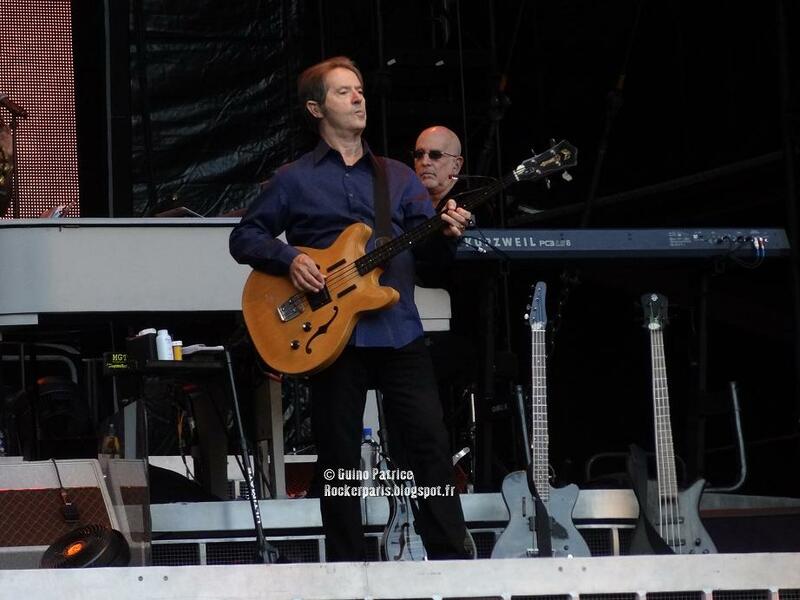 The concert couldn't have started better with "Jealous again / Thick n Thin / Hotel Illness". 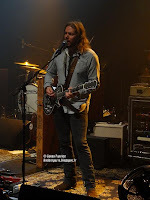 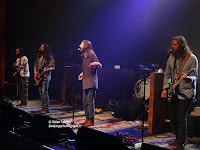 The sound is loud & clear, Rich Robinson is on the right, new guitar player Jackie Greene on the left hand side and Chris Robinson dead center attracting all the lights. 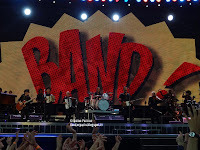 The band is tight and now things are getting serious with some extended jams on a couple of songs. 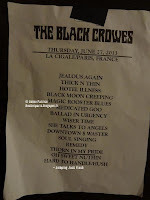 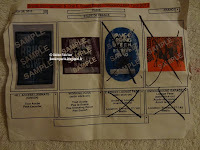 We're lucky tonight, the band is treated us with a "Best Of" setlist, maybe is it because the band hasn't been in Paris for such a long time. 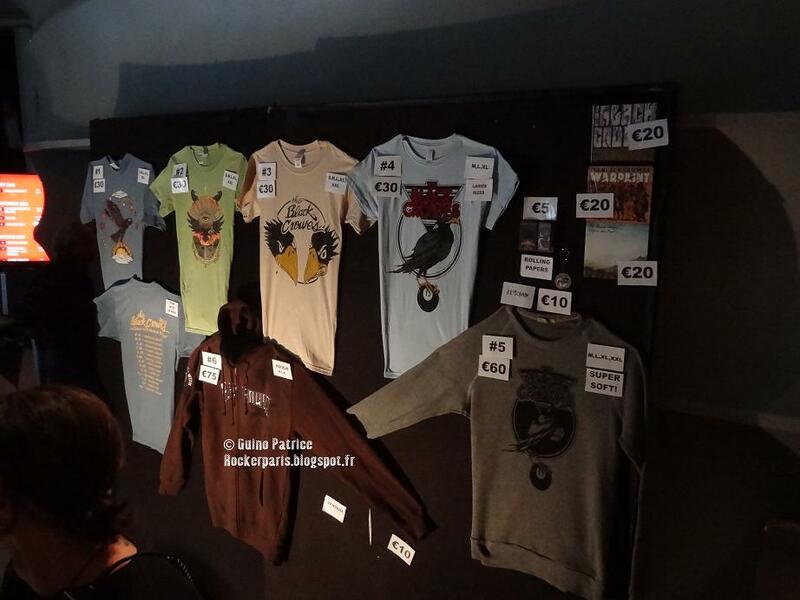 It's a dream setlist and probably the best one on this tour. 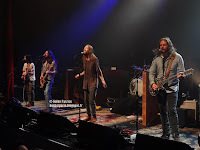 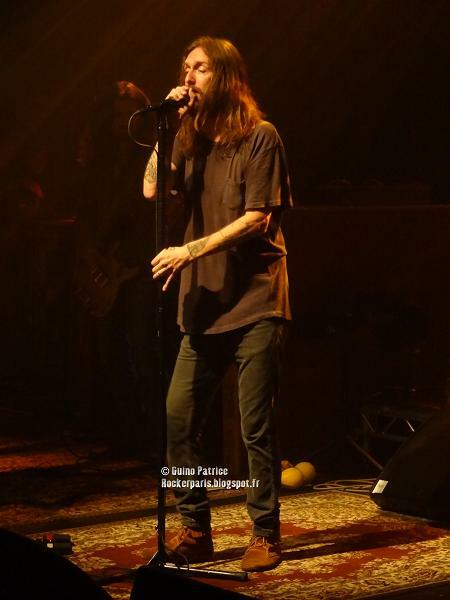 The Crowes are getting a very warm reception from the wild audience, we have a few covers for the last part of the set with The Velvet's "Oh Sweet nuthin" & "Hard To Handle/ Hush".